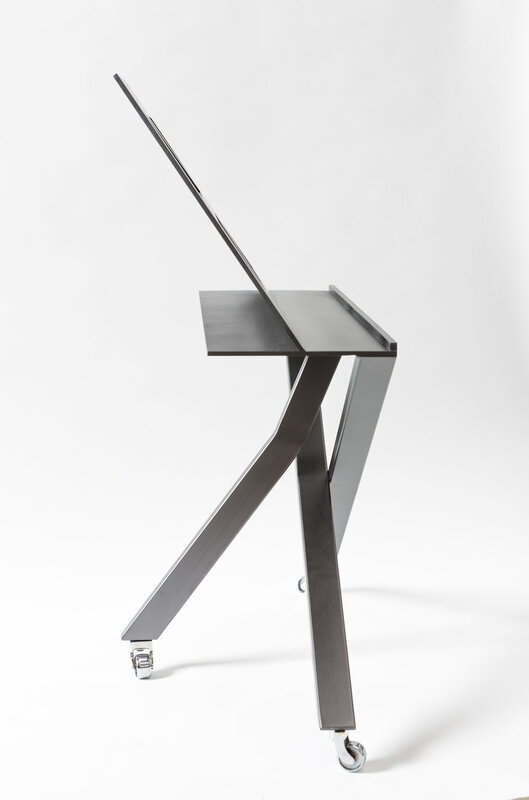 Cathy’s love of art books inspired her to create The Lazy Reader – a book stand on wheels made in steel. “I have a huge collection of art books and the idea of them sleeping unopened and being reduced to decorating my shelves drove me to find a solution” Cathy explains. “With the Lazy Reader I can enjoy my fabulous books, like the pieces of art they are and I’m able to change the display at will to have an ever evolving exhibit. The fact that these books tend to be on the weighty side also plays a part”. The Lazy Reader is H75 x W66cm but can be commissioned in a different size, if required. It’s made in steel and finished in grey metallic paint. Other finishes available on request.